Thursday March 28, 2019: 14.00 - 15.30 in Seefeld, Zürich. Discover how Cranio-Sacral Therapy can help you improve your health and wellbeing. This gentle, effective therapy uses light touch to encourage healing and is based on U.S. osteopaths’ findings about the body’s rhythmic tidal motions. Monday April 1, 2019: 09.30 - 11.00 in Seefeld, Zürich. Laughter helps us to experience more fun and joy, and enables us to deal with and/or let go of the stresses and strains in our lives. During this Workshop we will be having lots of fun whilst learning the benefits of laughter. We will be breathing, stretching and relaxing as we explore effective and easy to use techniques to keep ourselves happy and healthy. Tuesday April 2 2019: 14.00 - 15.30 in Seefeld, Zürich. Yoga helps you relax as it brings your good health to the fore. It helps you to become more centred, grounded and balanced through breathing exercises, stretching and relaxation. Yoga helps you to channel your physical energy and also to connect with your inner wisdom. You work at your own pace whilst being encouraged and guided to make the most of your ability. I am committed to helping people to embrace their own vitality to create what they want in life. 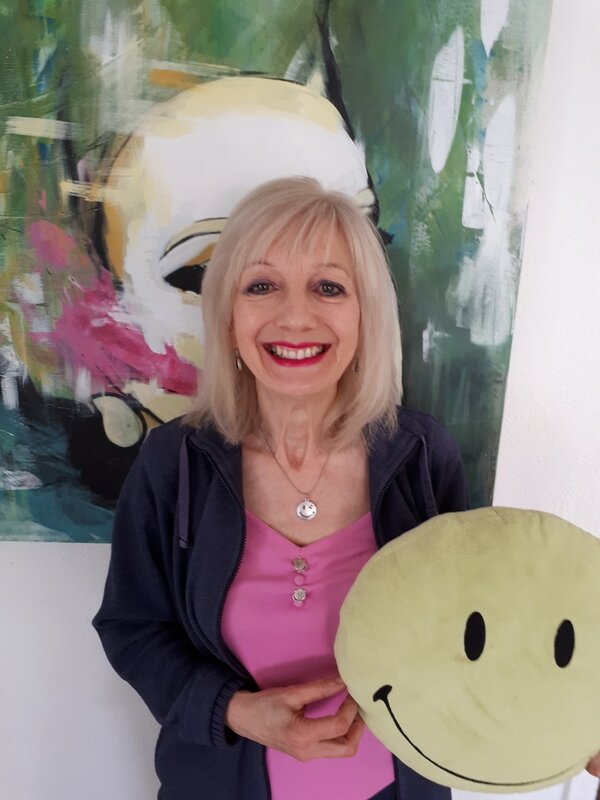 Cranio Sacral Therapy - registered with Cranio Suisse as a Cranio Sacral Therapist and a Supervisor.